For 40 years, University of Minnesota alumni longed for a building to call their own, one that would serve as a virtual “front door” for University visitors. Over those years, floor plans were rendered and a site was chosen, but the idea didn’t truly take shape until three alumni passionate about the University set out to make this dream come true. 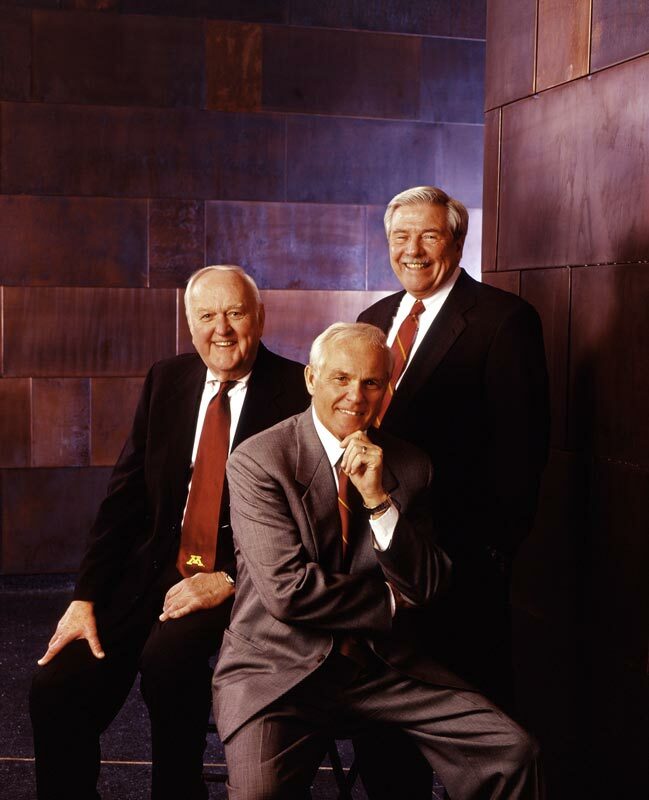 Fred Friswold, ’58, president of the University of Minnesota Alumni Association in 1987-1988, recruited Larry Laukka, ’58, for his commercial development expertise, and Dale Olseth, ’52, for his fundraising success. Along with the building’s three owners — University of Minnesota Foundation, University of Minnesota Alumni Association and Minnesota Medical Foundation — this successful team worked 12 years to ensure that the alumni center became a reality. The public spaces in the McNamara Alumni Center were financed through the private support of more than 600 donors who contributed $13 million including Richard “Pinky” McNamara ($3 million) a 1956 alumnus for whom the building is named; Rental income from commercial office space helped finance the $45 million project. In 1996, a volunteer committee of University staff and others selected internationally-renowned architect Antoine Predock of Albuquerque, New Mexico, to design the alumni center. 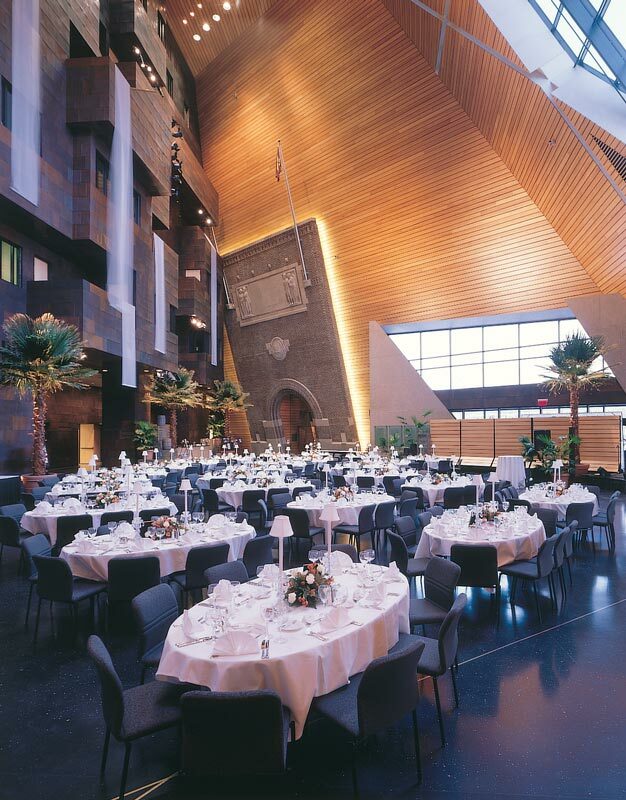 Teamed with Minneapolis-based KKE Architects to facilitate the building’s design, Predock set out to reflect Minnesota’s natural assets — its 10,000 lakes, the North Shore, the Iron Range, the Northern Lights and more — in the forms, materials and design elements of the McNamara Alumni Center. Striking features include a pink granite-covered geode exterior with star-shaped glass fissures; an 85-foot tall Memorial Hall complete with six miles of wood lining its walls and a water stream and pool; and 75,000 square feet of copper cover exterior and interior walls. The alumni center has received numerous awards for its unique architecture. 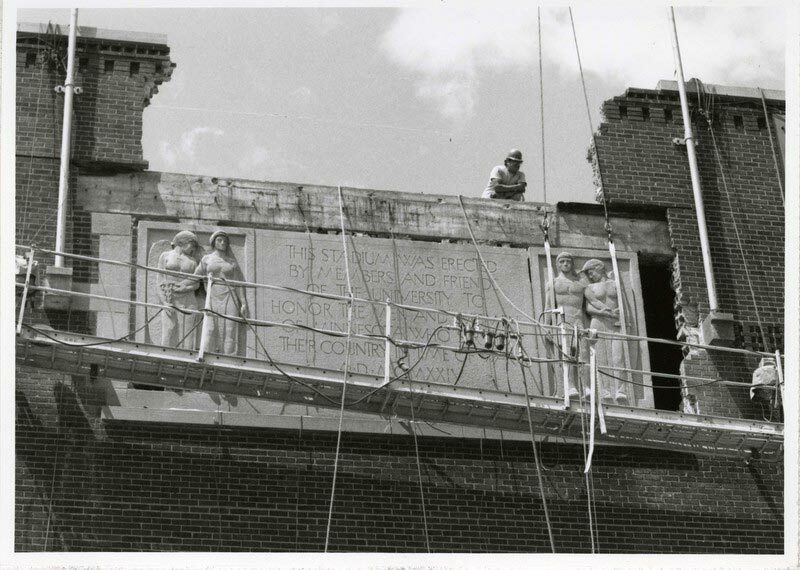 Construction began in March 1998 and in February 2000, the 231, 000 square feet McNamara Alumni Center opened as a University office building and conference center serving the University community, alumni, and the general public. 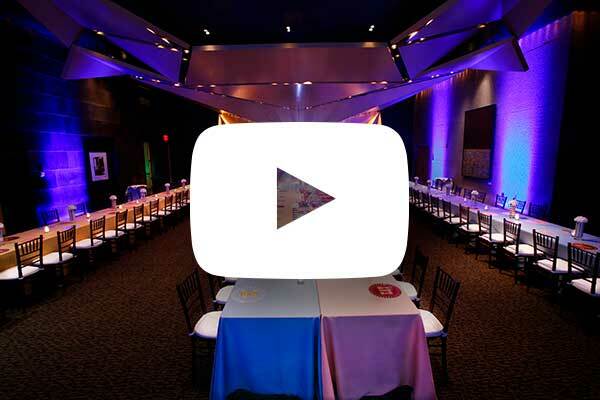 Today, the McNamara Alumni Center is an award-winning event venue hosting nearly 900 meetings, parties, wedding receptions and other special events a year.